When people experience arthritis, joint discomfort, and stiffness, they are usually told about multiple routes to take, one of them being natural vitamin supplements. Vitamin supplementation in general is a good thing; it increases a person’s intake of nutrition that it is otherwise harder to get and more dispersed. When it comes to joint pain relief, the top supplement manufacturer recommends glucosamine, chondroitin, omega 3 fish oil, or collagen. But most people overlook one small ingredient that is starting to make waves in the joint care vitamin world: Boswellia. Boswellia is a plant that has been used for centuries, producing the ancient extract frankincense. It was often used for its anti-inflammatory properties and its fragrant resin. Now, new clinical studies over the last few years have been revealing a lot about this plant, especially its properties dealing with joint pain. Studies have been supporting the claim that Boswellia “produces significant antihyperalgesia and anti-inflammation effects”1 and “might represent an alternative for classical medicine treatments for chronic inflammatory diseases such as atherosclerosis.”2 Many clinical trials indicate an greater effect over placebos. It is composed of a group of triterpenoids called boswellic acids, which are responsible for these effects. More research has to be done on this ingredient, but there is no denying that this plant has unique properties. 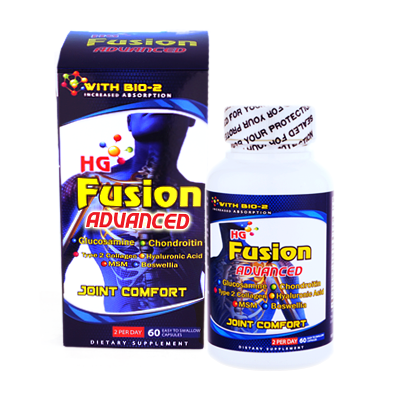 It is one ingredient of many in our HG Fusion Advanced formula, along with glucosamine, chondroitin, type 2 collagen, and msm; you can click on the link to read more about it. I hope you found this article interesting, as most people do not know about this ingredient or its effects on joint comfort. If you are interested in Private label manufacturing, or if you would like to buy from a top supplement manufacturer as us, please email us at info@earthscreationusa.com for more information. Center for Integrative Medicine, School of Medicine, University of Maryland, Baltimore, MD 21207, USA. Ichimaru Pharcos Company Ltd., 318-1 Asagi, Motosu, Gifu 501-0475, Japan. N. Kimmatkar, V. Thawani, L. Hingorani, & R. Khiyani, “Efficacy and tolerability of Boswellia serrata extract in treatment of osteoarthritis of knee – A randomized double blind placebo controlled trial,” Phytomedicine 10 (2003): 3-7.